EXCLUSIVELY on DanceMaster.com Digital file of the complete song, "You Can't Take Me Down" from the Rhythm Tribe album "Generations". 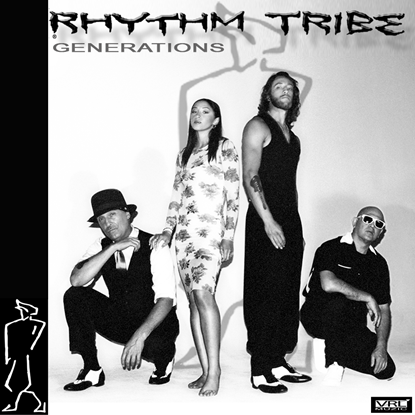 Digital file of the complete song, "You Can't Take Me Down" from the Rhythm Tribe album "Generations". Compatible with all mp3 playing devices. Exclusively on DanceMaster.com CD Quality Digital file of the complete song, "You Can't Take Me Down" from the Rhythm Tribe album "Generations". Burn a CD in the native downloaded format. Exclusively on DanceMaster.com Studio Quality Digital file of the complete song, "You Can't Take Me Down" from the Rhythm Tribe album "Generations". For the serious audiophile, that person who is enthusiastic about high-fidelity sound reproduction. This is especially for you.